A Shropshire wedding event team has been crowned winners once again at the Wedding Industry Awards. 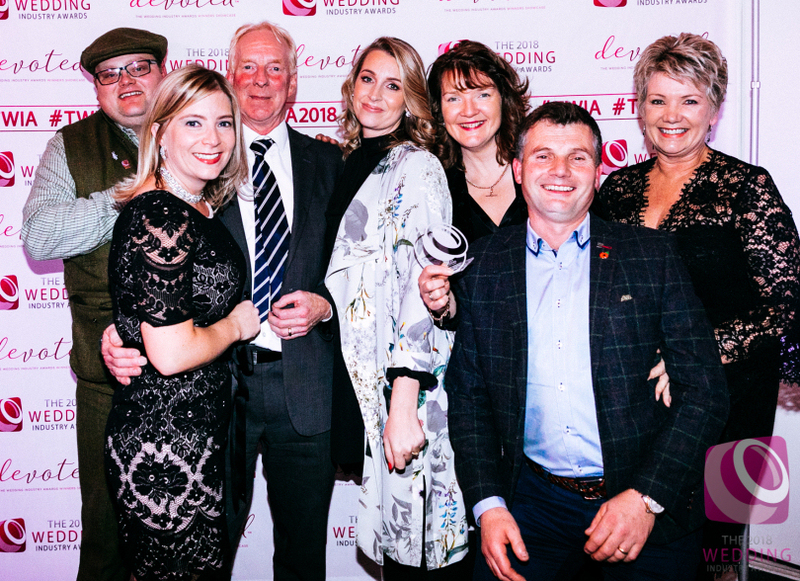 Shropshire Farm Weddings were revealed as the winners of the ‘Best Event Team’ category at a glittering ceremony in Birmingham. They will now go on to the national award ceremony in London on January 17, 2018. The awards recognise and reward excellence in the wedding industry and are presented in 25 categories across seven geographical regions of England. Shropshire Farm Weddings, run by the team at The Wroxeter Hotel, near Shrewsbury, host weddings at Morrells Wood Farm – and have helped 13 couples marry, or celebrate their nuptials, in the rural setting since its launch. The team scooped the ‘Best Newcomer Award’ last year, and the venture has gone from strength to strength. Wroxeter Hotel owners Ed and Hannah Hall and Morrells Wood Farm owners Derek and Sue Harper were amongst the team that took to the stage on Monday to collect the gong. Mrs Hall said: “To win Best Newcomer last year was a wonderful experience for us, but to come back this year and scoop another award has been overwhelming. “Shropshire Farm Weddings has really taken off over the last 12 months and we have a really wonderful team that are with our brides and grooms all the way, from the minute they decide the farm is the perfect place for them, to the time the lights go down on their first day as a married couple. “It is the brides and grooms who vote in these awards and we are so grateful to all of those who voted, and so glad we were able to be part of their special day. The Newcomer Award is awarded to a business which was established or started supplying weddings after October 24, 2015.